I spent the last 2 summers working on this off an on between other projects. The knife has quite a few flaws but it was a good learning process for me. 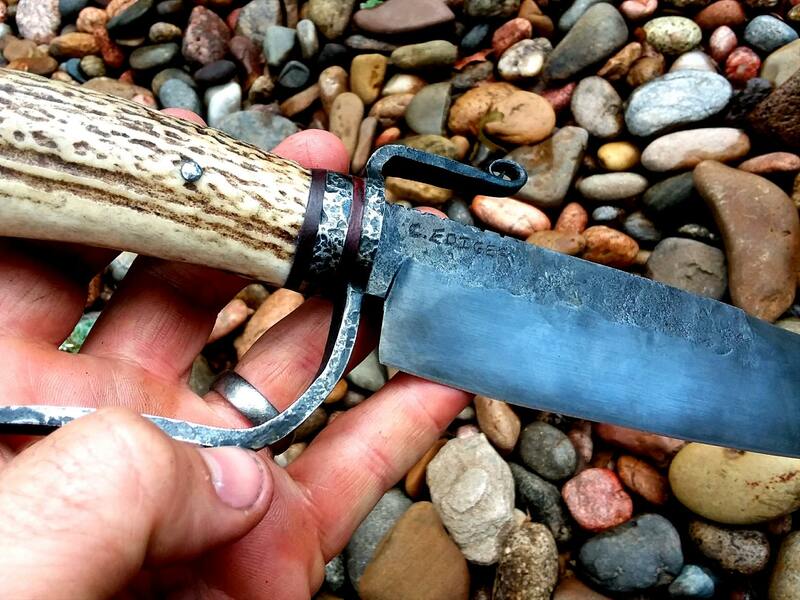 The knife is 15" overall and has a 9.5" blade. 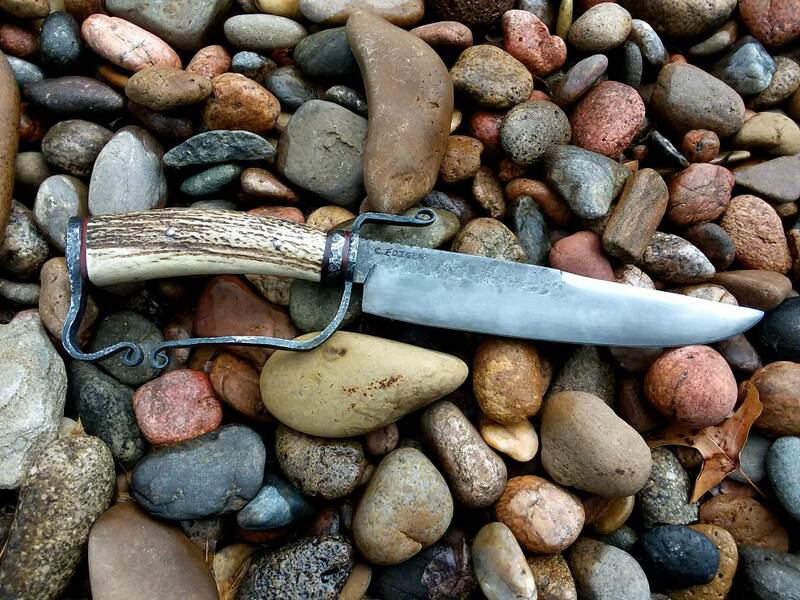 Steel is 1095 with elk antler and blood wood spacers. I think it will be awhile before I attempt another one! 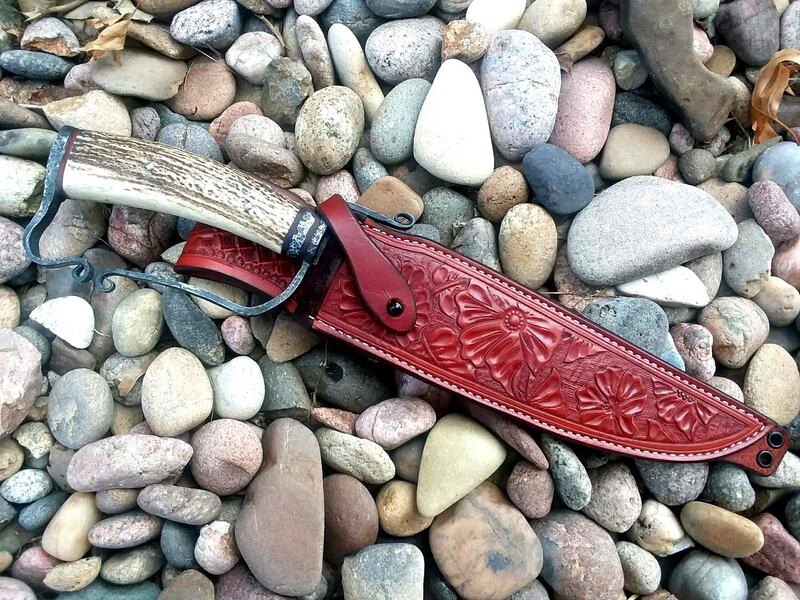 Todd Thayn was gracious enough to construct the sheath for me. 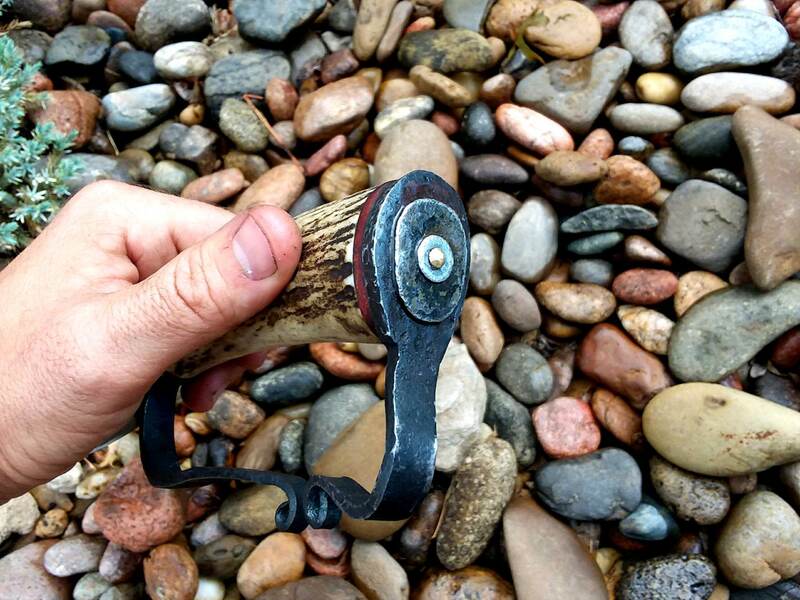 His leather work is top notch and I was amazed at the detail he put into the sheath. That's top shelf all the way around. I got to handle this knife and drool over it in person. I’m here to tell you the flaws are at a minimum buddy. You did a very beautiful job. 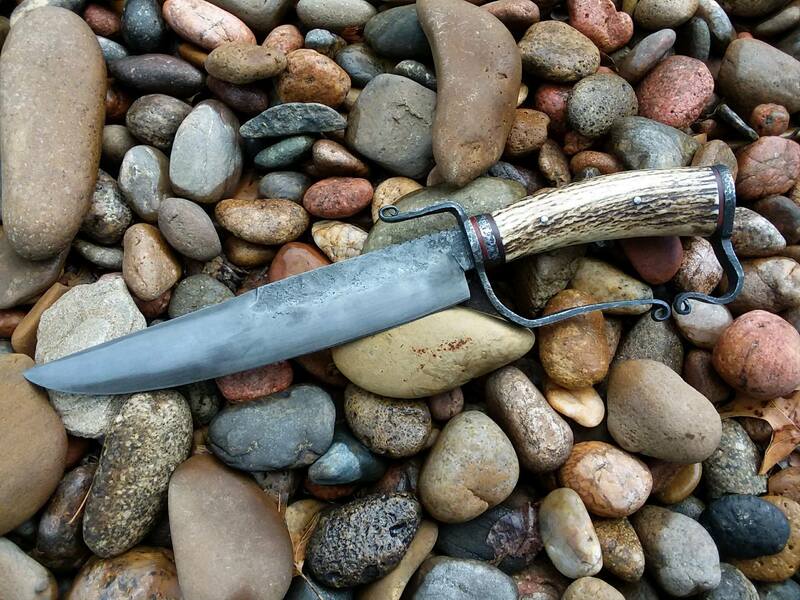 Thanks Todd, the sheath you created for this thing is amazing and photos do not do it justice!